The new mini-album of the all-star band featuring Tom Lesczenski (SITD), Vasi Vallis (FROZEN PLASMA) and Krischan Wesenberg (ROTERSAND)! In a time that is wastefully propagating the term “all star project” (and thus eradicating it) we need strong personalities with strong opinions and a strong will. Personalities who have nothing left to prove. Who are, each in their own right, responsible for the victorious march of dark, emotional, contemporary Electro. Every one of them a titan, an icon, a luminary. And yet, deep down, still the curious visionary bound to fathom the depths of our very existence. It’s not even necessary, then, to know who’s exactly behind FUTURE LIED TO US. The trio, formed by Tom Lesczenski (SITD), Vasi Vallis (FROZEN PLASMA) and Krischan Wesenberg (ROTERSAND) is a collective without leader, bringing more expertise and electronic intuition to the table than one can digest at first glance. 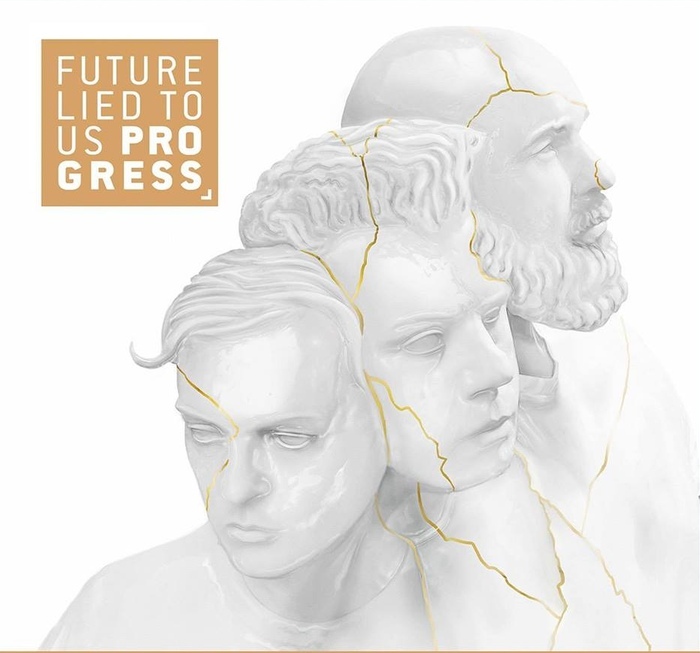 Their mini album “Progress” stands alone as an electronic monolith. As a moving, melodic, intelligently arranged and precisely composed benchmark whose wistful aura infects the listener in no time. It is the product of three artists bound to explore life itself – even if they may die trying. “Progress”, ultimately, is testimony to their wanderings. Easy listening sure is something else. However, it will forever remain what it is: Easy listening, good enough for the dancefloor but lacking substance and depth. FUTURE LIED TO US are different. They ARE substance. Longing in synthetic form, as strong and as echoing as the pathbreaking New Wave heroes of the eighties: “Progress” deserves its name in every second, through every beat, in every moment.